Ireland in the 21st century has become a global leader within the technology sectors attracting massive amounts of foreign investment, far outstripping growth in these areas of many of their EU neighbours. Among these sectors the pharmaceutical and life science industries continue to grow at an astounding pace. Relative to its size Ireland is a global leader in the fields of medicinal and pharmaceutical products and is currently the 7th largest exporter of pharmaceutical products globally. There are over 120 international life sciences companies based in Ireland, with 9 of the 10 largest global pharmaceutical companies having large manufacturing or R & D facilities there. The levels of investment in these sectors continues to increase on an annual basis and this is reflected by both the importance of the life science industries to the Irish economy and the growth of the number of highly skilled people employed. 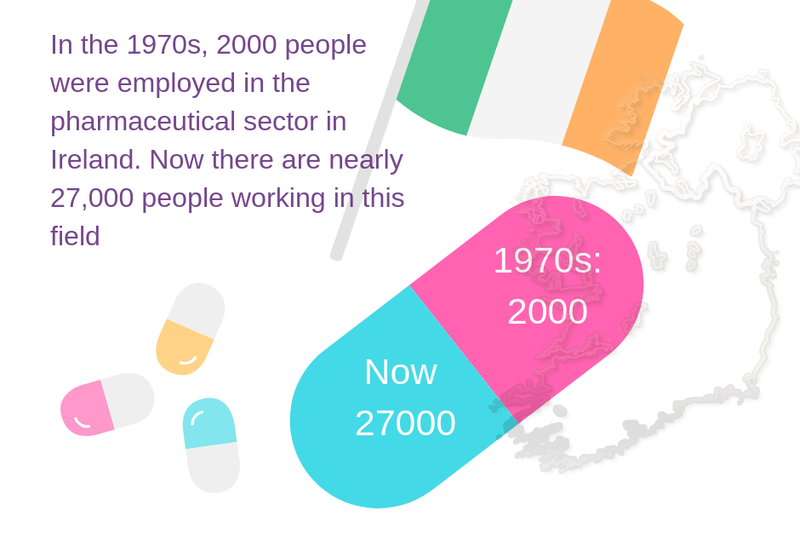 In the late 1970s there were 2000 people employed in the pharmaceutical sector throughout the country. However by 2018 there were nearly 27,000 people working in this field. The biotechnology industry is also growing rapidly with over 11,000 people employed in 2018, up from 6,500 in 2015. As such there will be continual strong growth in the life science sector in Ireland with plenty of investment opportunities occurring over the next 5 years, meaning that Ireland will be a very attractive place to work. Due to the population of Ireland being relatively small, there is a limited talent pool of scientific and engineering staff available and as such there is a need to source highly skilled professionals from abroad for both permanent and contract positions. The opportunities for development and growth for employees in the life sciences sectors will be greater in Ireland than most other EU countries due to this rapid investment and growth and as such now is good time to consider a move to Ireland. First you might ask, why would I want a career in chemistry? The answer is because it provides so many diverse opportunities! Having a career within chemistry is not just limited to working in a lab (although there are many exciting lab-based jobs!). For example you could move into a field service role which would provide travel opportunities; you could get involved with plant based operations including scale up and process chemistry; and you could eventually use your career and knowledge in chemistry to educate, inspire and motivate a new generation. Most employers look for at least A-C grade (9-4 in new GCSE grading system) in Science and Maths as a minimum. Good maths skills are very important in landing your career in chemistry as it is necessary both to use these skills on a daily basis (such as measuring out chemicals and calculating proportionate yields) as well as having a sound understanding of maths on which to base the chemistry knowledge. As people are now required to stay in full-time education until the age of 18 in the UK, options include 6th form or college, or alternatively starting an apprenticeship or trainee-ship. If you opt to stay within traditional education, a chemistry A Level is the obvious choice. Supporting subjects include maths or physics. Should you wish to start an apprenticeship, try to find an opportunity with a chemical manufacturing company, or one with a company that may provide you with transferable skills. Depending on the level of knowledge you are looking for and whether you intend to specialise, you may wish to embark on a University career in chemistry, and then perhaps a Masters or PhD. Please note these qualifications are not essential to obtain a career in chemistry; some employers do prefer a chemistry degree however a Masters and/ or PhD education is only for certain niche areas. Aside from having a knowledge and understanding of chemistry, work experience is going to be one of the main drivers in securing your career in your chosen field. We would highly recommend that you take any opportunity to immerse yourself in the industry, whether it’s only shadowing someone for a few days, voluntary lab experience, or paid temporary work/ a year in industry during university. While employers value a good chemistry education, more and more they are turning to experience as being the main tick in the box. Having gained voluntary experience also indicates that you are taking your career in chemistry seriously. Ultimately, after you have achieved the above, be flexible. There are so many opportunities out there. You may have your heart set on becoming a New Product Development Chemist within water-based adhesives for the packaging industry, however please refer to our previous point – experience is everything. Appreciating that you may need to gain experience in a few other areas before being able to pursue your dream job will firstly take the pressure off, but secondly may mean that you find many other areas within chemistry that you weren’t aware of before. If you would like more careers advice get in touch with Victoria Walker here or take a look at our careers zone here. Prefer video? Watch Victoria talk about this subject here. We are pleased to announce that we will be hosting the NEPIC Cluster Connect on the 4th of October. This is a free meeting that brings together members of NEPIC along with professionals involved in the process industries in the North East of the UK. Held on the first Thursday of each month between 8am-10am, the meeting includes refreshments, a guest speaker and new member introductions followed by an informal networking session. Jonathan Hart-Smith, Managing Director of CK, will give a short five minute talk offering his top tips for effective talent acquisition. This talk will give five takeaways on how you can improve your own in house recruitment process to attract potential employees. If you would like to attend this event register here or contact Sarah Farrow via email here: sfarrow@ckscience.co.uk. The recruitment market has dramatically changed over the last few years, due to a range of factors from the economic recession to Brexit. During the recession we saw a surplus of candidates on the market, due to redundancies and candidates job searching because they felt at risk. Following the recession, unemployment rocketed to around 8.5% in the UK. Companies who were recruiting found themselves spoilt for choice and as a result were often able to offer lower salaries and less preferential benefits, while still securing the best talent. However, the tables have since turned. As the economy recovered, the labour market stabilized, but recently, especially since the Brexit referendum, we have noticed a massive shift towards a candidate-driven market. In the current climate fewer candidates are looking to change jobs as they are still unsure about the future and are less likely to make rash decisions such as quitting a job. Moreover, international candidates are less likely to consider roles in the UK, further diminishing the candidate pool. As a result, the current unemployment rate is at 4.1% in the UK, the lowest it has been in 40 years, and skilled candidates are at a premium. Consequently, those few candidates looking for new opportunities are finding work more easily. The best ones are attending multiple interviews and can pick and choose between employers. They can afford to wait for the right job to come along with the right salary and the right match to their selection criteria. This is a great time for highly skilled job hunters who are in such demand, but it’s not good news for employers, who can be left struggling to recruit the right people and retain their current staff. Companies can no longer expect interviewees to be available for long. To avoid disappointment, they need to make decisions quickly and follow up with an offer of employment as soon as possible once they have found the right candidate, or they risk losing out. Companies seeking new employees are having to work harder than ever to entice people to work for them. Hiring managers and recruiters are raising their game by offering the best pay and benefits packages they can. They are also making sure the candidate recruitment experience is smooth and efficient so they can get an edge on the competition, as candidates are more likely to favour a company that is efficient, organised and makes them feel wanted. Companies are also threatened by the whole array of tempting job opportunities now on offer by other companies who are happy to go the extra mile to entice new employees. If they are not providing their current staff with a good enough salary and benefits package, they risk losing them to a more attractive option elsewhere. All in all, a candidate-driven market means tougher times for companies trying to recruit, and for those trying to retain their staff. Finding the right candidate for a job is no longer a given, and companies recruiting are having to adjust their recruitment strategies accordingly. For more advice on recruiting in a candidate driven market, check out our top tips for attracting candidates to your business. For more information on how CK Group can help you find the right candidates get in touch today. Have you seen the Google Doodle today? It’s brilliant. Google honors the little known creator of the pH scale, Biochemist, Søren Peder Lauritz Sørensen. Sørensen was born in Havrebjerg, Denmark, in January 1868 into a farming family. At 18 he originally studied medicine at the University of Copenhagen, but under the influence of chemist SM Jørgensen, he decided to turn his ambitions to chemistry. He had a fascinating career culminating in becoming the head of the Carlsberg Laboratory in Copenhagen from 1901 to 1938. While working at the Carlsberg Laboratory he studied the effect of ion concentration on proteins, exploring further the importance of the concentration of hydrogen ions. This study led to his most notable and world changing achievement – the creation of the pH Scale. He introduced the scale in 1909. The Google Doodle is a fun, interactive game where the user can guess which items have which pH level. Why don’t you give it a try? Find out more about Sørensen here. We are currently recruiting for a very special role, a Graduate Recruitment Consultant job, based in our Stevenage office. This is an exciting role to join our expanding Swiss division, CK QLS, where you will be working with world leading pharmaceutical and life science organisations in Switzerland. Find out more about this job or apply here. We are proud to announce that the CK Group has been awarded the 2017 Supplier Excellence Award by KellyOCG. These awards are given to the top-performing national and global suppliers that provide superior workforce solutions to KellyOCG. This year, 31 companies were recognised were out of thousands of suppliers globally. In the current job market, highly skilled workers are a valuable resource, and not readily available. As a result, counter offers are on the rise as employers try to retain their skilled workforce. Chances are at some point in your career, after handing in your resignation, you will be given a counter offer by your current employer; but should you accept it? Ultimately you’re the only one who can answer that question. However, Sarah Farrow, an experienced Recruitment Consultant here at CK Science has written a short article with her own recommendations on how to handle a counter offer to help you with your decision making process. Sarah has a wealth of experience in this area after helping many job hunters to make the best decision for their circumstances but there are some golden rules to this process that are a must follow. Take a look at her top tips here. Sarah Farrow – Find out more about Sarah here. 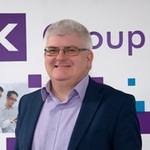 CK Group is currently recruiting for a QC Technician to join a medical device company in Blackpool who offer the world’s most comprehensive portfolio of orthopaedic and neuro products for joint reconstruction, trauma, spine, sports medicine, neuro, craniomaxillofacial, power tools and biomaterials. They are part of a family of companies, owned by one of the largest global pharmaceutical companies in the world. The 6-month contract may offer an extension at the end, but the experience gained during the contract will inevitably aid your career in the future. The successful candidate will ensure that all routine testing is performed in a timely manner, adhere to GMP & GLP, carry out the chemical and physical testing of finished products to ensure that the quality of CMW products are maintained, conduct in-process production inspection tasks, assist with raw material inspection. Also, the ideal candidate will complete and maintain the appropriate documentation relating to the testing activities and carry out validation of new equipment or test methods. An exciting range of benefits including holidays increasing with length of service, pension scheme and bonus scheme, with an early finish on a Friday. 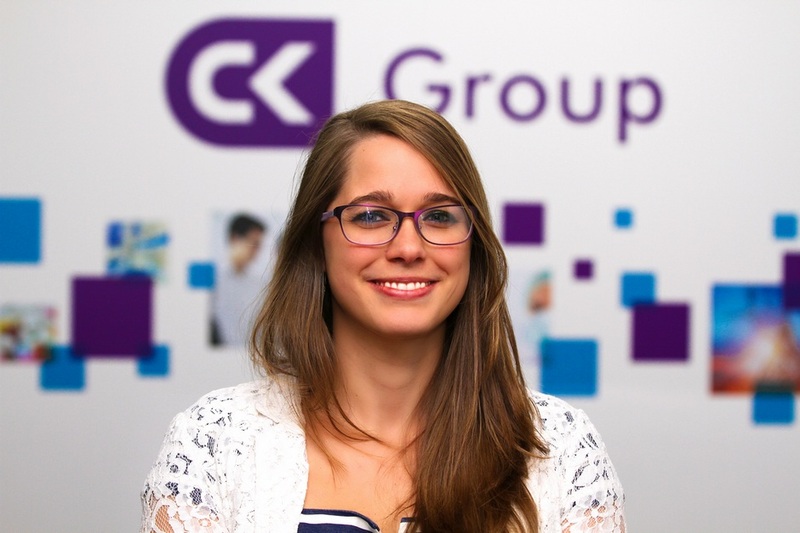 The CK Group are delighted to announce the expansion of their Key Account Team. The team will now support contract and temporary recruitment programs with a number of global pharmaceutical organisations. This team will provide an improved client and candidate experience in the recruitment process by focussing on a number of key clients who have requirements within the life sciences sector. The team have 68 years combined recruitment experience with the CK Group working in the pharmaceutical and science industries ranging from the science, clinical IT and engineering areas. 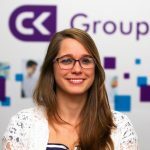 They will provide account management, recruitment, contractor support and management, compliance and reporting services to our client candidates, thereby ensuring that the experience of working with the CK Group is as efficient, smooth and professional as possible. If you are interested in working with a global pharmaceutical organisation or would like to speak to a member of the team do not hesitate to contact them. British based drug companies have been struggling to attract talent from overseas since the Brexit vote according to an article in the Telegraph. Research has shown that the proportion of applicants from outside the UK for senior roles at pharmaceutical firms has fallen from around 40% to 15% in the year and a half since the referendum. This article echoes the thoughts that were stated last year in the Independent by Ivan Jimanez, the head of Bizkaia Talent, an organisation that aims to keep skilled people in the Basque Country. Nearly 50% of Basque graduates have science, technology and engineering qualifications which are critical to the UK economy. The UK has relied on attracting overseas talent for a long time and it’s been widely accepted that not enough British students have been studying these subjects to keep up with the demand. Because of the economic situation in Spain, the UK became a more favoured destination for Basques. Jimanez states that following the Brexit vote, this flow is beginning to reverse. Interestingly we at CK Science are tackling this issue by casting the net far and wide to attract talent for our customers including setting up a new office in Switzerland to meet the growing demand for talent here. We are also members of the International Network of Recruitment Agencies in Life Sciences (Inrals), where we have the ability to access talent and help our customers recruit in up to 56 countries. If your talent attraction strategy needs an additional measure to help you secure talent for the UK from overseas, please get in touch with us to see how we can help. An exclusive opportunity to join a household name who are investing in a brand new division, and creating a position that offers an ambitious scientist the opportunity to develop within a new division whilst working on an exciting range of new product development projects. Electrochemical testing of battery materials, as part of the Nickel-based cathode technology team, supporting with application testing to support new product development. Support with the generation of electrochemical performance reports, extracting key insights to enable product release sign-off. Qualified to PhD level, or possess equivalent experience, in Electrochemistry or a related discipline. Experience of processing Nickel battery materials into electrodes would be beneficial for the position.